(Yucatan, Mexico) Her Holiness Peace Mother Geeta Sacred Song, a renowned Spiritual Master, Peace Shaman and founder of the Impeccable Warrior of Light Path has released Violet Light, Her newest book in the 30 e-book series, Shaman’s Art Journal: A Guide to Self Healing and EnLightenment. In Book 3, Violet Light, Peace Mother shares Wisdom Teachings on the Universal Healing Force known as the Violet Light of Transmutation. 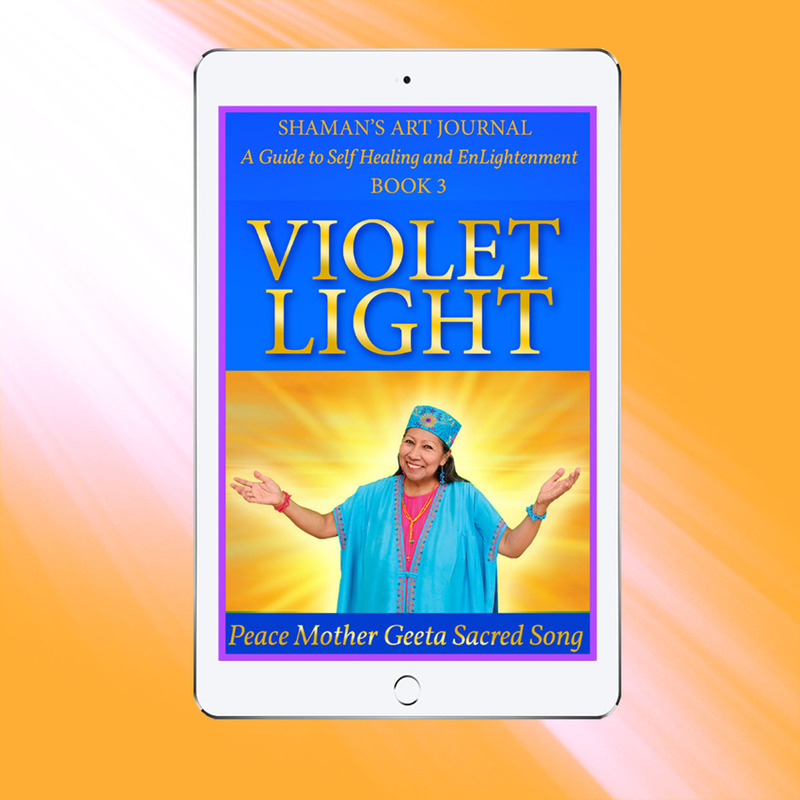 The profound insights, exercises and Healing artwork (a Light Activation painting channeled through Peace Mother by Spirit) provide readers with potent techniques for invoking the Violet Light to Heal, Transform and Uplift people, places and situations. The insights, exercises and Healing artwork in this book include both ancient and modern techniques to call upon the Violet Light. The invocations, visualizations and affirmations in Violet Light emPower seekers to heal all types of Spiritual imbalance, dissolve negativity, focus their Power and live an Illumined Life, aligned with their brightest Soul Path. Brimming with timeless Wisdom and Peace Mother’s Loving Compassion, Violet Light provides profound enCouragement and training to support a seeker’s journey to Soul balance, Self Healing and enLightenment.